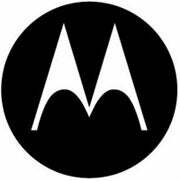 Motorola, it seems, has suffered an embarrassing bout of premature release. Monday afternoon, the company announced on its Facebook page that the Android 2.1 update would beginning hitting Droid handsets this week. The reaction was huge: nearly 800 "likes" and pages upon pages of excitement-filled comments. Now, however, the company says the announcement was made in error. Where's that damn undo button when you need it? 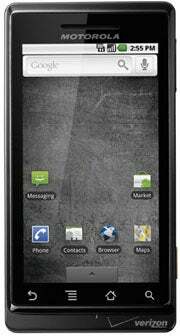 Android 2.1 entered the world with the release of Google's Nexus One last month. At the time of the launch, Motorola said the software update would be reaching the Droid and other Android phones at some point in the near future. "Hi all -- we know you are frustrated with the lack of details regarding Android software upgrades and we sincerely apologize for not being able to share info sooner. We're happy to relay the 2.1 upgrade to DROID will start to roll out this week, and we will have more information to share on other device upgrades later this week as well. Thanks for your patience and continued support." All seemed peachy until yesterday, when a manager at Motorola's official support forum posted a message saying the update was not, in fact, ready to go. "How embarrassing," he wrote. "Apparently we jumped the gun on these details." He reiterated the mistake in a later posting, saying: "The details posted here and on the support site were prematurely released for public view. They have been removed from both places." All right, so what's the story now? A representative from Motorola tells me the Android 2.1 update is expected to roll-out to Droid owners "soon," though she was not able to provide a specific time frame for its debut. She did confirm that it would be sent over-the-air as a free download, as typically occurs with mobile OS updates. So stay tuned, my fellow Droid owners. With any luck, this delay won't last long. In the meantime, if you want somewhere else to channel your frustrations, go read this story. It'll make you appreciate Android's open nature -- or, at the very least, give you an uplifting chuckle.